Acquris is a Swedish company that develop, sell and install and rent surveillance equipment and media. 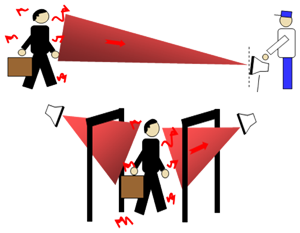 Our specialty is designing real covert surveillance products and systems. We conduct research on, among other things, security systems and LED lighting. China isn't only one of the largest producers of product in the world but is also becoming a real economic Super Power. Several economist believe that China will surpass USA as the economic Super Power within 10 years. But China doesn't only produce but is also one of the worlds largest consumers of quality products. The Chinese government have spent billions of USD to lift the country from poverty to creating a consuming middle class and many high income earners. In the communist China you are very pragmatic. It is easier to remain in power if you give the masses "bread and entertainment". In this case, the middle class ability to spend money due to a multiplied increase in income. Since Acquris have many years experience of trading with China and also a part owner that is Chinese with 20 years experience in helping and handling companies to start in China, we can offer something unique. Regardless if you want to transfer your production to south of China or if you want to export your products or even set up a company in China, we can assist you with all administration, all necessary documents, give you tip and tricks of "How to", assist in finding office/production space and much, much more. With other words, we can give you everything from a solid understand for decision making to make sure you don't end up in any judicial problems or get tricked/fooled by scammers. To clarify regarding pricing on our website. These prices are our "standard prices" and based on an dollar exchange rate of approx. 7 SEK per dollar. Therefore, the price will be adjusted to the valid exchange rate upon order. Therefore we recommend to always request a quote or guaranteed price before ordering to obtain the current price. It now have been quite a while since we made any significant changes to our website. We have also experienced some mysterious malfunctions on the website when we switched Web Hotel which make the homepage look strange on some places. We are currently in the process of improving the website and also plan to include a Web Shop if everything goes to plan. We therefore ask for your patience and understanding during this process. We will of course add new exciting products and services on the website but wont make too much effort in updating the existing appearance. When the new website is finished, we will make this announcements both on Facebook and Google+ plus here as a News. With other words, you will most likely not miss it. Meanwhile, if you have any questions or wish to order, we ask you to use our info email address (info@acquris.se) and we will get back to you as soon as possible. We have now updated our product line of Sport- and Action cameras. In direct competition with leading brands like GoPro, we dare to stick out our head and claim that we are not only much cheaper but also both better, have higher quality and also include a nearly complete set of accessories for lower price. This means that you don't need to afterwards hunt for accessories to be able to use the camera were you want. We have made an adapter to allow some of the models to use GCoPro's mounts if one wants. As we said before, we have two types of cameras, one type we call SportCam's that looks like GoPro with it's a little more boxy design and foremost, exactly like GoPro lacks IP-protection in itself. For this, it needs the included waterproof casing which thereby makes the camera capable to handle a little more demanding environment. The other version´, we have named ActionCam since it from the start with its "all-in-one" design. They are completely waterproof and can be used while diving "out of the box" without any accessories. They are also much lighter and thereby suitable for example helmet mount. In addition does there round tubular shape also decrease the risk of getting snagged in something as an example. What more differ our SportCam and ActionCam? Common for all our SportCam and ActionCam is that they record video in true full HD, i.e. 1920 x 1080p. All support 30 frames per second however some also support 1920 x 1080p and 60FPS and in some cases, and some also support 1280 x 720p in 120 Frames / Second. 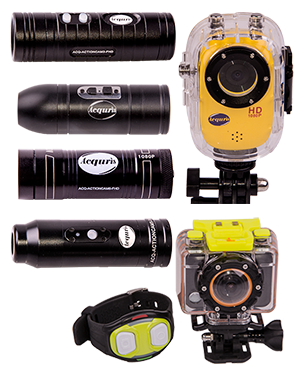 As before are all our ActionCam water resistant to at least 10 meters depth and in some cases down to 30 meters depth. Due to the larger encapsulation in our SportCam, there is on the other hand room for functions like Wi-Fi, wireless remote control (RF and in some cases also with built-in monitor to view the camera image live in the remote) and G-sensor and so on. In one of our upcoming models, also a included GPS for integrating the GPS data with the video. Which you should you choose, SportCam or ActionCam? Well, that depends primarily on the how you intend to use it. If you are an adrenaline-junkie who would throw yourselves out of cliffs, are Kayaking in rushing rivers, like skydiving or Bungee jumping etc., on a regularly basis, we would suggest our ActionCam to be appropriate since it take up little space, is very light and "out of the way". Are you on the other hand, a person who needs functions like Wifi, remote control and that bikes, drive cross-bike/motor bike, motor sports or like to dive down to around 30-60 meters, it is probably our SportCam you want. What you choose is, in other words up to you but considering the price, you can even afford two or three since they cost about half of what for example a fully equipped Hero3 costs. Click on the picture and look at which model suits you best. Or why not give one as a Christmas gift. We guarantee that it will be an appreciated gift, no matter which model you choose. Acquris AB is changing name to Acquris Media and Security HB, active immediate. Please also note that we thereby also changes bank account and company registration number. Sweden and Acquris develop "Naked Camera"
The new naked camera is a buzz word now a days. However is not just an American invention. Sweden and Acquris is together with France and Italy, working in a research project in this particular area. Acquris is working with a EU project called IMATERA and sits as a national coordinator for Sweden and develops together with the French Thales (TED) and Italian Ulis and research laboratories CEA-LETI and FBK-irst, a "naked camera". As a Swedish research laboratories, we use the Swedish Defense Research Institute (FOI) and Chalmers University of Technology (CTH). 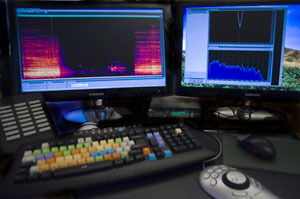 As we built up our studio operations, we can now offer complete audio analysis. Here we can take bring forward voices from the noisy street environments, wash away the interference from telephone intercepts, perform complete Hydrophone analysis, was it a fish or was it a hostile submarine?, Etc. As an additional option, we can at a fixed cost, quickly review the material and give our professional assessment of what is possible to obtain from the material.